All very good questions, Deimos. Many artists do work-made-for-hire. I have. And I’m sure you could find an artist to work with you under those conditions. I think the thing that concerns me most (and I’m not just referring to this instance as an example) is if an artist (such as in the case of Steve Ditko with Spider-Man) designs the visuals for a character, shouldn’t he (or she) share copyright in that character? And if a comic book project is a true partnership between a writer and an artist, then, yes, I would think that both (or all) parties should share in the expenses and profits. I wonder how (writer) Robert Kirkman handles these situations with his artists? 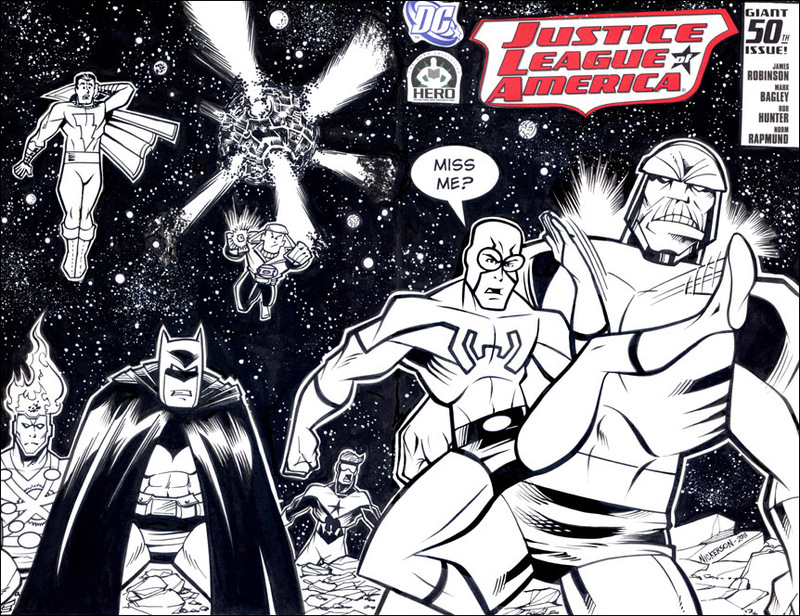 I know that (artist) Cory Walker shares copyright with Kirkman for INVINCIBLE. Also, I like Mike Kitchen's suggestions. If you are seriously considering collaborating with an artist, I recommend you find an artist you trust and make it a true collaboration by sharing the intellectual property. I understand how the creativity of an artist can make the difference between mediocrity and success. On the other hand it may not. I have spent 4 years entusiastically creating my IP. If I share it with an artist shouldn't then we share all the project's expenses as well?? I am hiring his professional expertise, which includes his superior skill, his creativity and his experience. And these things cost 200-500 $ per page. How is a non corporate, average guy, dreamer supposed to pay off such an investment? I have to say that if you're interested in maintaining one hundred percent ownership of your story, and you can't draw, perhaps you should consider writing a prose novel. 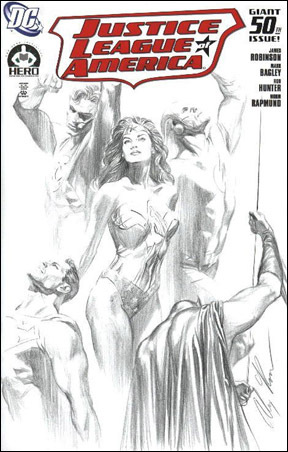 Barring that; if you are REALLY interested in creating a comic book with an artist, take a look at Mark Millar and his Millar World projects and how he shares the property with his artists. I keep thinking about people who say Steve Ditko had no part in creating Spider-Man, even though he designed what is arguably the greatest iconic character of all time. And have you ever seen the description of Darth Vader written by George Lucas before Ralph McQuarrie decided he needed a helmet because he was going to be in space? The original description was basically Count Dooku. Could you please elaborate on the point you made about the artists sharing my enthusiasm for the project? Is that doable? I doubt a pro artist will get excited in a commission. In fact what I am simply asking of him is to deliver the quality that made me wish to hire his skill, in a reasonable agreed timeframe. 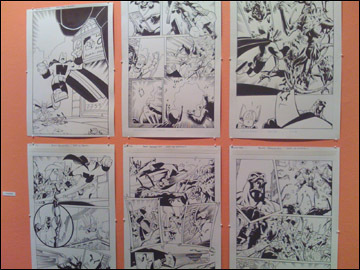 Well, when I freelanced for Marvel and DC (for example) I was enthusiastic about the books that I was inking. That goes a long way in work-made-for-hire. If the project is more of a team-up between creators or even with an artist and writer owning the property, then you would want to make sure that your partner is as passionate about the project. If not, then he/she could leave the book and leave you hanging, or even renege on any past agreements. In this later case, you might want to check out The Kenmore and Nihilist-Man Team-up story agreement/contract that Brandon J. Carr and I put together. Also what are the further issues that may rise if it is a work-for-hire situation? Wow… that’s a whole can of worms. You’ll have to make decisions in regards to ownership (trademark and copyright), the return of artwork, (re)printing rights, merchandising compensation (if there will end up be any), and any other types of royalties. I have been working on my story for 4 years. For this reason I am looking to pay for a professional outcome since I have come to love this project. Because I will be making a big investment, I wish to keep the rights in the slimmest of slim chances the investment might pay off and allow for continuation-expansion. If not (99.99999%) I will have my story printed pro style and read by friends (and hopefully enjoyed), which is a great reward in itself. Dave Sim discusses writers who want to self-publish in the CEREBUS GUIDE TO SELF-PUBLISHING. You might want to look into getting a copy of that. This is a tricky situation because you should want to work with people who are as passionate about your project as yourself. Also, are you willing to share copyright with your artist(s)? Or would this be a straight work-made-for-hire situation… which can cause some problems, as well. I’m not sure how Neil Gaiman or Alan Moore would handle a situation like this, but their work practices might be something to research. I just found this forum as I am interested in self publishing comics. Since I am only the writer of the scripts I need to hire artists (pencillers, inkers, colorists, letterers) to deliver the comic. So I would like to know how the rights for commissioned projects work in this case and if anyone could link a typical contract for this scenario. 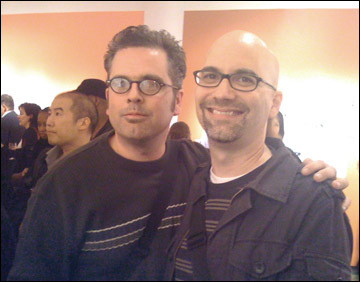 On October 14, 2010, the School of Visual Arts had its reception for the Ink Plots exhibit. SVA instructors and alumni gathered for a few hours to meet, greet, and drink wine. The exhibit is being held at the Visual Arts Gallery located at 601 West 26 Street, 15th floor, New York City. Ink Plots will continue until November 6, 2010. 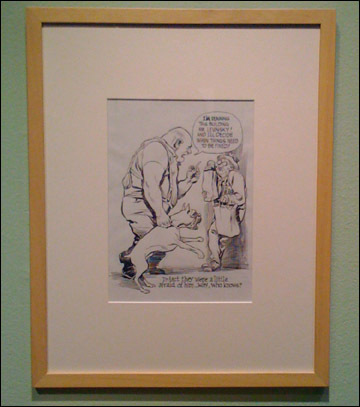 Above photo: Original artwork from Will Eisner’s A CONTRACT WITH GOD. Above photo: P.I.C. buddies Stephen Scanlon (creator of PIPE DREAMS) and Miguel Martinez Joffre (creator of TICKLE ME SILLY). Above photo: Artwork from NIHILIST-MAN AND HIS AMAZING FRIENDS #1 by (penciler) Fernando Ruiz and (writer/inker) Al Nickerson. 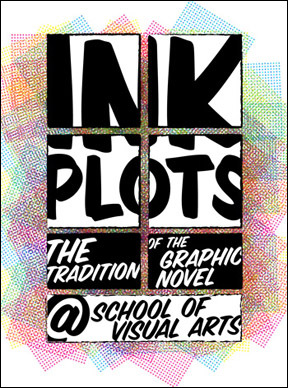 For more information concerning the School of Visual Arts’ Ink Plots exhibit, go here.